Take 1 tablespoon two times daily with meals. The cloudy layer in the oil is unique to this blend. To obtain its benefits, shake bottle gently before each use. Do not heat or use for frying. FOR OPTIMUM FRESHNESS KEEP REFRIGERATED. Can be frozen to prolong freshness. 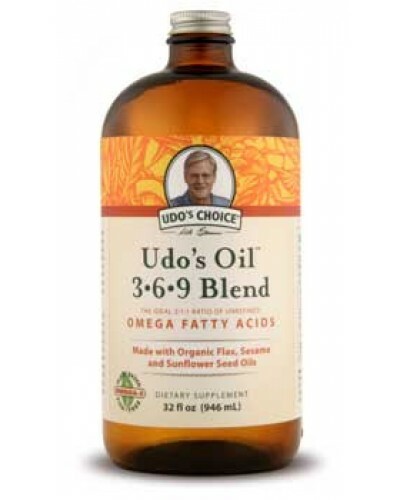 Udo's Oil 3.6.9 Blend is a specially balanced combination of carefully chosen natural unrefined oils and nutritional co-factors that help meet your daily essential fatty acid requirements. 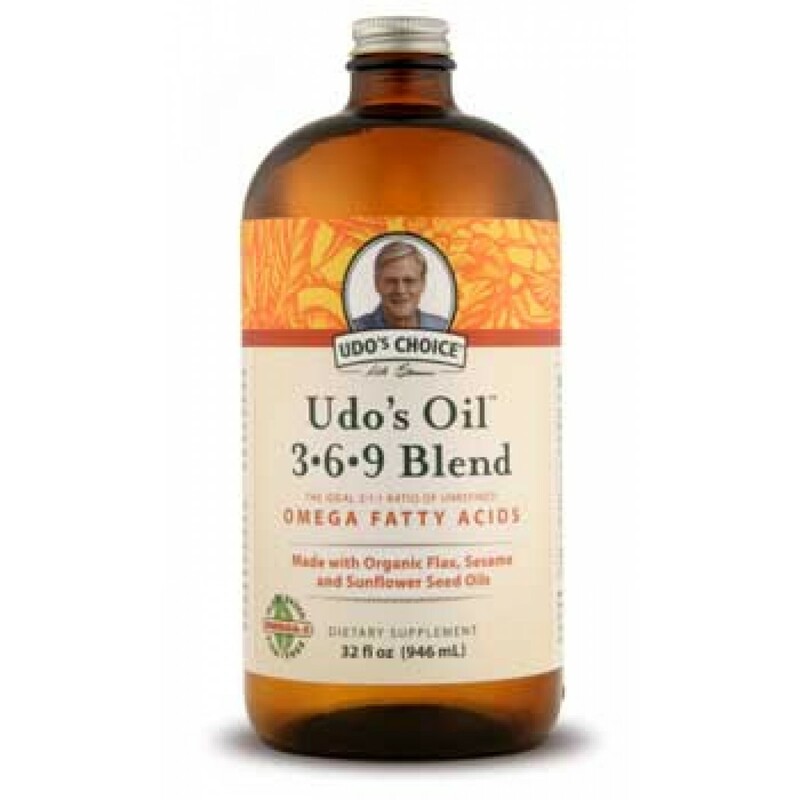 Formulated by renowned author and nutritionist Udo Erasmus, PhD, this blend contains oils from certified organic flax*, sunflower*, and sesame* seed, and from evening primrose oil and the bran of rice and oats. The "minor" ingredients in the oils from the grains also provide significant benefits. 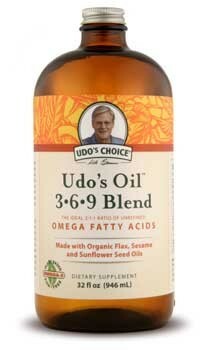 This oil blend is mechanically pressed in a state-of-the-art low heat, light and oxygen-free environment. This process has been developed by Flora to maximize stability, nutritional value, and freshness to you. For use as part of the Right Fat Diet. Not a significant source of cholesterol, sodium, carbohydrates, dietary fiber, sugars, protein, vitamin A, vitamin C or calcium.